Your health: to be vegetarian prevents diseases. Meat-eating has been linked with cancer, heart disease, strokes, diabetes, hypertension, osteoporosis, kidney stones, and many other devastating diseases. By eliminating meat from your diet you can take a crucial step towards a long life of health and happiness. 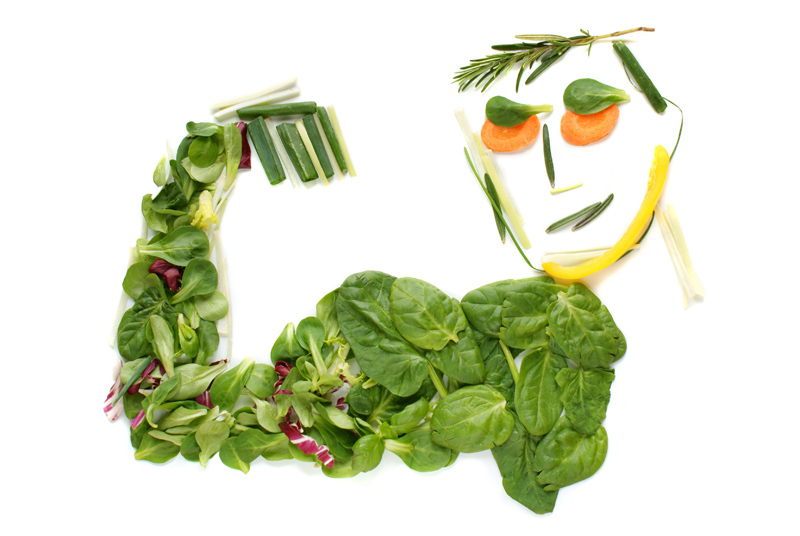 Increased energy and endurance: A vegetarian diet improves your stamina, concentration, and sense of well-being. 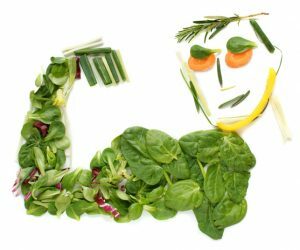 In one study, athletes who switched to a vegetarian diet improved their endurance to almost 3 times as much as those who remained carnivorous. If you are vegetarian, you avoid toxic food contaminants: Flesh foods are loaded with dangerous poisons and contaminants such as hormones, herbicides and pesticides, and antibiotics. As these toxins are all fat-soluble, they concentrate in the fatty flesh of the animals. Not to mention the viruses, bacteria and parasites such as salmonella, trichinella and other worms, and toxoplasmosis parasites. Humans are by design vegetarian: our flat teeth are perfect for grinding grains and vegetables, not for tearing apart animal flesh. Similarly, our hands are designed for gathering, not for flesh-ripping. Our saliva contains the enzyme alpha-amylase, the sole purpose of which is to digest the complex carbohydrates in plant foods. (This enzyme is not found in the saliva of carnivores.) Basically we have all the right apparatus to consume vegetarian products, and none of the right apparatus for flesh foods. Care for the environment: by improperly using animals for food, we are eating ourselves off the planet. The raising of animals specifically to kill them and eat them has resulted in incredible waste and devastation of our precious resources. Just one example of the consequences is the fact that due to plundering our farmlands to fatten animals for slaughter, over 4 million acres of cropland are being lost to erosion in this country every year. You want more reasons to be vegetarian? Help end world hunger: every day forty thousand children on this planet needlessly starve to death. According to the Department of Agriculture statistics, one acre of land can grow 20,000 pounds of potatoes. That same acre of land, when used to grow cattlefeed, can produce less than 165 pounds of edible cow flesh. If you are vegetarian, you become a more peaceful person: when we consume animal flesh products we are necessarily at odds with nature and our fellow living beings. Consumption of flesh foods has been scientifically linked with violent and aggressive behavior. Have compassion for animals: animals who are raised for slaughter needlessly experience incredible suffering throughout their life and death. Many people try not to think of the torturous experiences of the animal whose flesh ended up in their hamburger or on their dinner table. But if it is distasteful to think about, consider what it is like to experience it. Vegetarianism is moral and ethical: give the devastating consequences of meat eating on an individual, social and ecological level, as thinking, caring beings we should choose vegetarianism. Many great philosophers such as Plato, Socrates, Leo Tolstoy, and George Bernard Shaw have taught the morality of vegetarianism. Animals are God’s property and have a right to life: the living beings temporarily encaged in animal bodies are not here for us to harm and exploit. We are meant to act as caretakers and protectors of animals and the planet, not exploiters and killers. Many world religions, including Buddhism, Hinduism, Seventh Day Adventists, Mormons, and Jainists all teach that eating animal flesh is wrong.